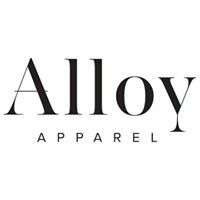 Alloy Apparel strives to empower all Tall Women across the world to love their height and feel confident in their own skin. We recognize Tall comes in all shapes and sizes. We are proud to offer the latest trends in extended sizes, long inseams, and plus size options! Additionally, our brand is known for its quality pants and stylish denim at affordable prices. Embrace your uniqueness, curves, celebrate your long legs, stand tall and proud.